This patented roller system micro-exfoliates and creates microscopic canals for enhanced product delivery. 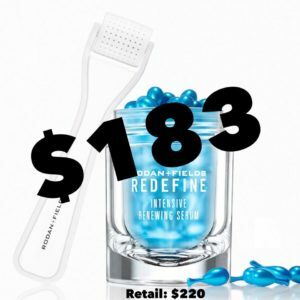 You will get FASTER results: faster firming & younger looking skin! ONE minute with our AMP MD — creates 35,000+ tiny opportunities for our Intensive Renewing Serum to have access to the surface of your skin, maximizing the benefit of this product! 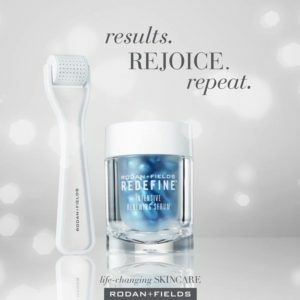 “AMP IT UP” with our REDEFINE Regimen or REVERSE Regimen. No more turkey neck! Use this on your face AND your neck to visibly improve the ‘old lady’ turkey neck!